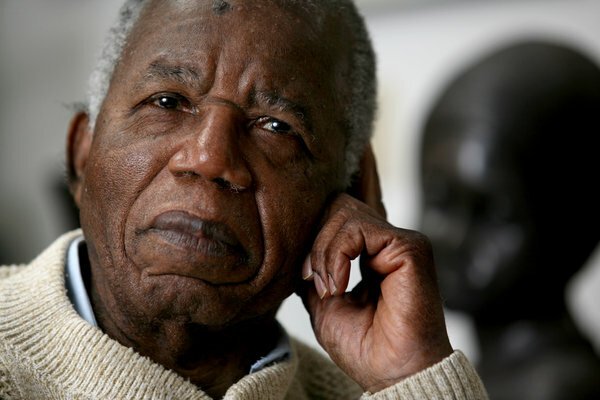 Chinua Achebe, African Literary Titan, Dies at 82 : The iroko has fallen. Chinua Achebe, a Nigerian-born novelist and poet, at home on the campus of Bard College in Annandale-on-Hudson, New York, in 2008. Chinua Achebe, the Nigerian writer who was one of Africa’s most widely read novelists and one of the continent’s towering men of letters, has died after a brief illness, his publisher and agent said in London on Friday. He was 82. Few details were immediately available. Besides novels, Mr. Achebe’s works included powerful essays and poignant short stories and poems rooted in the countryside and cities of his native Nigeria, before and after independence from British colonial rule. His most memorable fictional characters were buffeted and bewildered by the conflicting pulls of traditional African culture and invasive Western values. For inspiration, Mr. Achebe drew on his own family history as part of the Ibo nation of southeastern Nigeria, a people victimized by the racism of British colonial administrators and then by the brutality of military dictators from other Nigerian ethnic groups. Mr. Achebe burst onto the world literary scene with the publication in 1958 of his first novel, “Things Fall Apart,” which sold millions of copies and was translated into 45 different languages. Set in the Ibo countryside in the late 19th century, the novel tells the story of Okonkwo, who rises from poverty to become an affluent farmer and village leader. But with the advent of British colonial rule and cultural values, Okonkwo’s life is thrown into turmoil. In the end, unable to adapt to the new status quo, he explodes in frustration, killing an African in the employ of the British and then committing suicide. The novel, which is also compelling for its descriptions of traditional Ibo society and rituals, went on to become a classic of world literature and was often listed as required reading in university courses in Europe and the United States. But when it was first published, “Things Fall Apart” did not receive unanimous acclaim. Some British critics thought it idealized pre-colonial African culture at the expense of the former empire. “An offended and highly critical English reviewer in a London Sunday paper titled her piece cleverly, I must admit Hurray to Mere Anarchy!” wrote Mr. Achebe in “Home and Exile,” a collection of autobiographical essays that appeared in 2000. A few other novels by Mr. Achebe early in his career were occasionally criticized by reviewers as being stronger on ideology than on narrative interest. But over the years, Mr. Achebe’s stature grew until he was considered a literary and political beacon. Mr. Achebe’s political thinking evolved from blaming colonial rule for Africa’s woes to frank criticism of African rulers and of citizens who tolerated their corruption and violence. 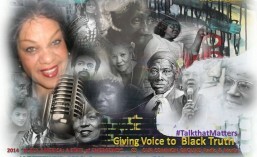 A KING HAS TRANSITIONED…LAST NIGHT IN BOSTON, MASS. A Great One has passed over today. Chinua Achebe (Nov 16, 1930-Mar 22, 2013). HAVE YOU READ FROM HIS BOOKS! ONE IS “WHEN THINGS FALL APART” Comfort&Courage. Today in History: We mourn the death of literary great and activist Prof Chinua Achebe, 82. He died in the United States where he was said to have suffered from an undisclosed ailment. He died last night in a hospital in Boston, Massachusetts, United States. A source close to the family said the professor had been ill for a while and was hospitalized in a hospital in Boston. “Achebe’s global significance lies not only in his talent and recognition as a writer, but also as a critical thinker and essayist who has written extensively on questions of the role of culture in Africa and the social and political significance of aesthetics and analysis of the postcolonial state in Africa,” Brown University writes of the literary icon. Mr. Achebe was the author of Things Fall Apart, published in 1958, and considered the most widely read book in modern African Literature. The book sold over 12 million copies and has been translated to over 50 languages worldwide. Many of his other novels, including Arrow of God, No Longer at Ease, Anthills of the Savannah, and A man of the People, were equally influential as well. Prof Achebe was born in Ogidi, Anambra State, on November 16, 1930 and attended St Philips’ Central School at the age of six. He moved away from his family to Nekede, four kilometres from Owerri, the capital of Imo State, at the age of 12 and registered at the Central School there. He attended Government College Umuahia for his secondary school education. He was a pioneer student of the University College, now University of Ibadan in 1948. He was first admitted to study medicine but changed to English, history and theology after his first year. Prof Achebe taught for a while after graduation before joining the Nigeria Broadcasting Service in 1954 in Lagos. While in Lagos with the Broadcasting Service, Mr. Achebe met Christie Okoli, who later became his wife; they got married in 1961. The couple had four children. He also played a major role during the Nigeria Civil War where he joined the Biafran Government as an ambassador. This is a great loss to not only the literary world, but to humanity! His legacy will live on in his work. May he ‘ascend’ in peace! This entry was posted in American African Affairs, Black Scholarship, From the Diaspora, Literature, Journalism and Black Writers, Reading and Book Reviews and Recommendations and tagged "Things Fall Apart", Chinua Achebe, literature. Bookmark the permalink.